It's a good practice to commit often so that you can roll back changes in small increments if needed. Therefore, please never rebase published commits! My two recent unshared commits are at the top of the history, and the rest is the history of master when I originally checked out this branch. There is absolutely nothing wrong with that. You can never do that with a rebase. That certainly wasn't my intention. I understand that there is no absolute right or wrong with either approaches but I feel that there is a right time to rebase and a right time to merge. Summary of actions: - Latest objects have been fetched from 'origin' - Hotfix branch has been merged into 'master' - The hotfix was tagged '0. But, you can force the push to go through by passing the --force flag, like so: Be very careful with this command! This workflow certainly isn't the only way to use Git, but its prescriptive nature allows you to spend more time on actual work and less time fiddling with Git. You quickly commit some changes e. If you rebase commits that have already been pushed publicly, and people may have based work on those commits, then you may be in for some frustrating trouble, and the scorn of your teammates. So, wherever possible, play the game so you get fast-forward merges or their equivalent in rebases. Forking preventswo developers from collaborating on the same branch without granting additional permissions, but you shouldn't do that anyway because you increase your chances of encountering merge conflicts. This creates a tag with the release name for future reference. I agree published branches should never be rebased to their remotes. 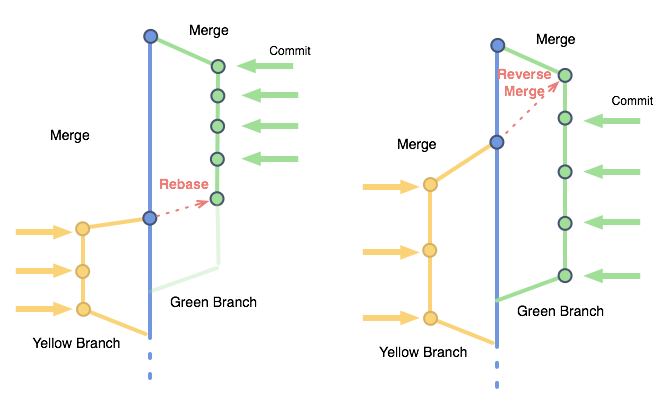 If you would prefer a clean, linear history free of unnecessary merge commits, you should reach for git rebase instead of git merge when integrating changes from another branch. It can also be used with for feature branches that you merge into develop. Learn it, love it, and grow old with it until something better comes along! What is that neccessary to mess with the remote tracking branch? You can also have your rebase replay on something other than the rebase target branch. A script containing all of these commands and the resulting log from a successful run can be found at. This is really important to get a grip on and can help you resolve conflicts much more quickly. Here is a short, by no means exhaustive list of the most common blunders I've observed. Keep in mind that you should only rebase if you haven't already pushed feature; once you do, you have shared the history of feature with others and should not change it. As we saw in , the multiple-committer merge workflow has very specific perils due to the fact that every committer for a time has responsibility for what the other committers have committed. Add a second remote called upstream that points back to the upstream project. But those small, incremental changes are only meaningful in the context of the branch you're developing on. 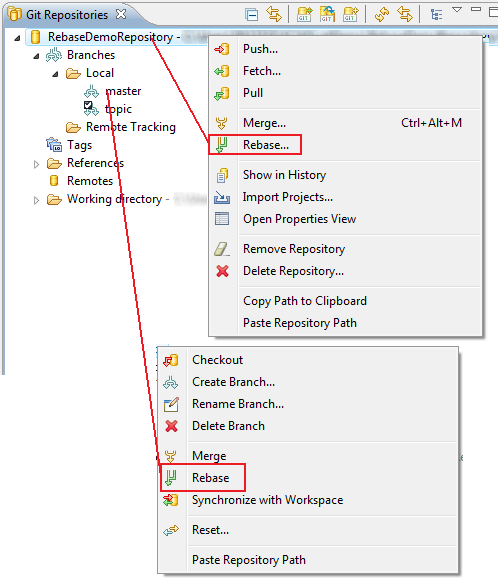 When finishing a release, the release branch is merged into both master and develop branches. Except the only way to find that merge commit created by the --no-ff flag is by, you know, manually reading all the log messages. It's so nearly equivalent to the patch workflow that it fits nicely. Oh would that be insane? Or are you a new developer who could use some handy Git tips and tricks? When working on a project you usually synchronize your code by pulling it several times a day. Isn't this workflow make it more difficult to revert some feature? Therefore, each time when changes are merged back into master, this is a new production release by definition. This will allow you to pull in upstream changes. Indeed, previously I worked on a team where the mere mention of a rebase to the wrong team member could evoke howls of anxiety and protest. Go ahead and use merge for that? Rebasing will change the original commit on which a branch is based. It solved several doubt I was having regarding merge commits and rebase. From git pull --help: This is a potentially dangerous mode of operation. 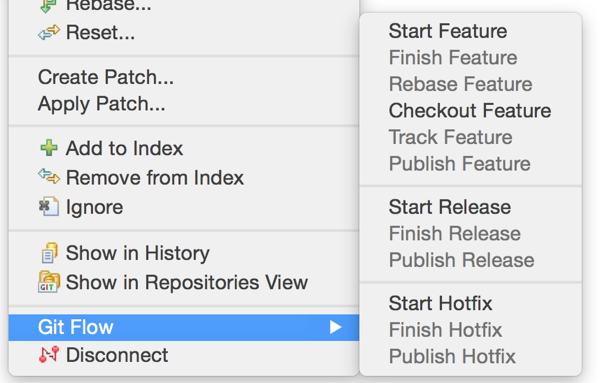 The entire git rebase procedure centers around your manipulation of these three columns. Any changes you make in this branch will be merged into both the develop and master branches after completion, and a release tag will be created upon master. Also the conflict resolving will be now per commit basis, not everything-at-once, so you will have to use git rebase --continue to get to the next batch of conflicts if you have any. Also the conflict resolving will be now per commit basis, not everything-at-once, so you will have to use git rebase --continue to get to the next batch of conflicts if you have any. Because it has attracted low-quality or spam answers that had to be removed, posting an answer now requires 10 on this site the. I would double check this, though as I haven't verified this recently. Seems to me that you rarely want to do otherwise. But I don't think there's one true answer. Try to find out how the project progressed from something like this: This isn't the worst mess I've seen as a result of applying GitFlow principles - far from it, actually. It rewrites history, which does not bode well when you published that history already. Step 3: Create a branch. The changes you make are rebased onto your repository. My understanding haven't experimented with it is that people use git merge --no-ff when they want to preserve history in this way. Each project has its own set of technical challenges, but most have similar versioning needs. This avoids all of the potential pitfalls of rebasing discussed below. What you actually care about was the developers intent? So how should I approach getting the changes my co-workers have made on master? Since they don't really understand what that state is, then it's no wonder that they make mistakes when they try to change it as that is what publishing their work is actually meant to accomplish. A branching and tagging model used for versioning must in some way facilitate future development, quality assurance, releasing, and release maintenance. It rearranges it into something else. Your coding is complete, but before you open a pull request and get it merged into upstream 's master branch, you need to grab any new commits that have appeared upstream.